That's today's theme and the reason I'm sharing these overnight oats with you. 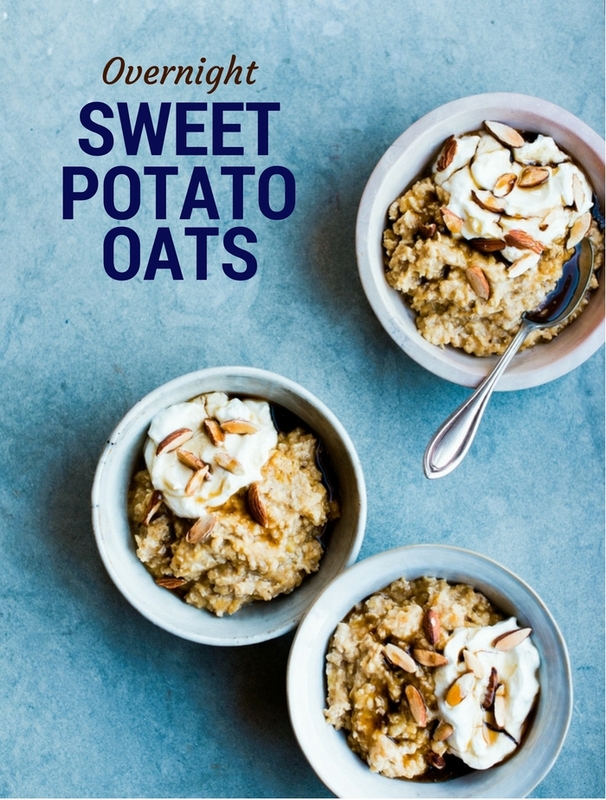 As a good Scot's lass I usually make porridge out of oats, but it's nice to change things up from time to time and these overnight sweet potato oats are a delicious addition to a breakfast table. Independent stores across the country served up free breakfasts as part of the Wake up to Organic campaign, but I think we can do more at home and make ourselves some really interesting breakfasts instead of just pouring cornflakes into a bowl. As well as these overnight sweet potato oats, try some homemade tattie scones with beans, some chocolate chip & raisin scotch pancakes a chocolate cherry smoothie bowl or blueberry and lemon oaty breakfast bars. It's better for the planet - Organic farms use fewer pesticides and support up to 50% more wildlife. You know what's in your food - When it comes to organic you know exactly what's in your food. GM crops and ingredients are banned in organic farming. It's tasty! - Organic farmers rely on developing a healthy, fertile soil to grown a mixture of crops that are bursting with flavour. Isn't it expensive to buy organic? It can cost a little more, but the best way to start is by introducing a few organic products to your diet and do it gradually. Organic vegetables are definitely a good place to start. I always buy organic tomatoes when I can as they actually taste like tomatoes. Do you remember what tomatoes are supposed to taste like? So many are bland. 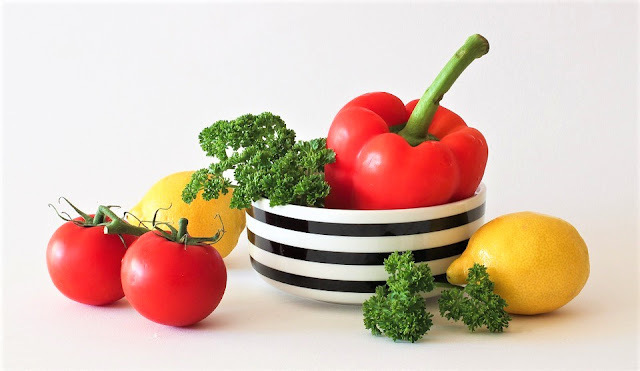 If you've ever been given some tomatoes from someones greenhouse, you will know just how much flavour they should have and organic tomatoes are just like that. Packed with flavour. Remember to buy local and check out your local organic veg box scheme, then you can create your weekly meals from seasonal organic veg. 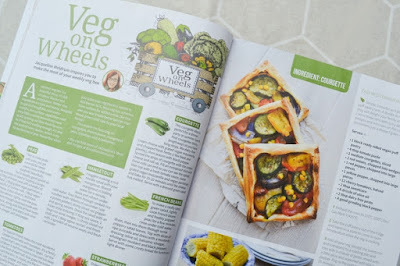 For veg box inspiration, check out my monthly column in Cook Vegan magazine called Veg on Wheels where I give you lots of ideas for cooking with what's in season each month. A nutritious and tasty recipe for overnight oats with the sweetness from roast sweet potatoes and a little maple syrup. High in Vitamin C & Iron. tablespoon or 2 of almond milk, and combine. 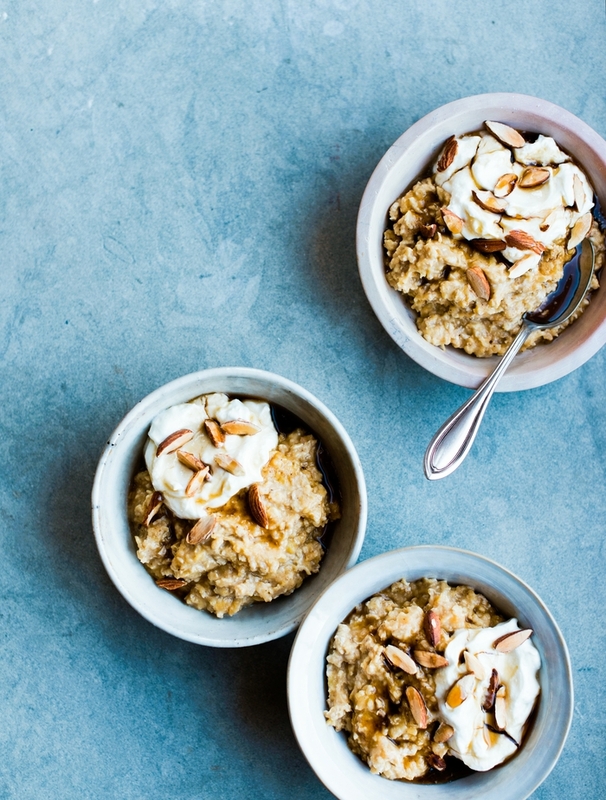 Divide the oats between 2 bowls and top with the yoghurt, almonds and a little drizzle of maple syrup if you like. 5. Enjoy! This recipe comes from HEALTHY BAKING: Nourishing Breads, Wholesome Cakes, Ancient Grains and Bubbling Ferments by Jordan Bourke which is published by Orion as a hardback & eBook (£20/£10.99). As well as this recipe I'm hosting a competition. 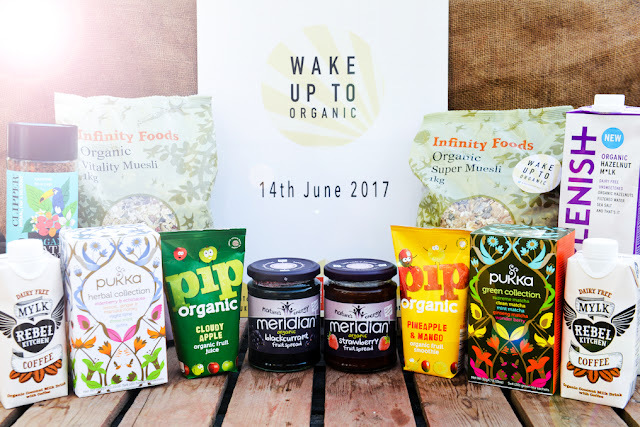 Would you like to win this organic hamper full of tasty goodies? Leave a comment telling me what your favourite breakfast is. Enter via the rafflecopter box below. This giveaway will run until Friday 28 July 2017 and is open to UK residents. Disclosure: I'm sharing this recipe and hosting the giveaway on behalf of the Soil Association and their Wake Up To Organic campaign. I was not expected to write a positive review and any opinions expressed are my own. My favourite breakfast has got to be huevos rancheros: bold and full of flavour - perfect for a lazy Sunday. Just don't tell my waffle iron. I usually have porridge to which I add flaxseed, flaked almonds and a little maple syrup. I usually add flaxseeds too and maple syrup if I don't have a banana to mash and add as a sweetener. The almonds are a nice idea. I would stick to just the eggs. I like making an omelette with lots of vegetables and a little bit of cheese for breakfast. I love eggs for breakfast, at the moment I'm loving spinach wilted in a little of olive oil, seasoned with a little salt and pepper then a light sprinkling of grated cheddar topped with a perfectly poached egg...delicious! For me, you can't beat poached eggs on toast with a sprinkling of salt. A full English with all the trimmings is my favourite only indulge occasionally though. Vegan pancakes and maple syrup. My favourite is to roast tomatoes and mushrooms and have them with some toasted crusty bread. I like a full English breakfast. Porridge with a swirl of golden syrup and a handful of blueberries or bananas. Homemade peach jam on toast with fresh black coffee. Porridge with fresh fruit is my favourite. I love porridge with berries in winter, and yoghurt, oats, seeds, nuts and fruit in summer. Mixed berries and greek yoghurt is my usual. 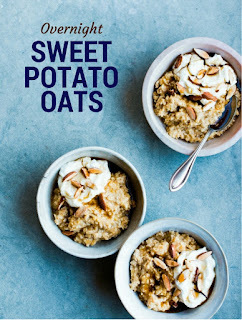 Really want to try your sweet potato oats though - a good incentive to get out of my breakfast routine! This time of year I like a selection of fruit. I love this twist on our favourite summer breakfast! I start breakfast with a green smoothie and then have a bowl of porridge with fruit and seeds on top. I can't always manage breakfast, I'm not a morning person. When I am awake enough to eat first thing, I like banana on toast with fruit juice or herbal tea. I love prunes, yogurt n banana for brekkie! Poached eggs on toast is my favourite breakfast. Fruit salad from the garden, drizzled with local honey! Granola with yoghurt and berries. Waffles, banana, maple syrup and nutella. Lush! Steaming hot tea, well toasted crumpets dripping with lashings of butter. Fried egg, bacon & tinned tomatoes for me. I love scrambled eggs on toast with a glass of apple juice. Thanks for the lovely giveaway. I love a mushroom omelette. I don't have a favourite breakfast as I don't eat until about mid morning but I do know I love the unexpected so my favourite type of breakfasts are the unplanned ones where you find a bakery just turning out some flat breads you can put with poached eggs, or freshly made falafel to go with humus, or local fruits and some yoghurt, or even noodles with soy sauce and vegetables. My favourite breakfast is porridge with maple syrup, it fills me up and the sweetness of the syrup is delicious. Soft boiled eggs with toast is always a winner or grilled beef tomatoes scooped out with a poached egg... yum! I love a full English, but only when I'm on holiday so that I haven't got to cook it myself! Half a grapefruit, followed by cottage cheese on toast with a glass of orange juice, preferably freshly squeezed. I love a full veggie breakfast but with a sneaky bit of halloumi! My absolute favourite is scrambled eggs and smoked salmon on sourdough toast - but that's a very rare treat! Pancake stack with blue berries and maple syrup with crispy bacon-yummy! Porridge with sliced banana and almond butter. I really love Greek yogurt, Acacia Honey, Fresh peaches and a sprinkle of granola. Yum! The French Toast i get on cunard cruise liners. My favourite breakfast is my other half's banana pancakes - healthy and delicious! Poached eggs and toast, only made by my mum though. The ones I try and make are nasty sadly! I love porridge oats with raisins and cinnamon. Every morning I have a small glass of apple juice followed by porridge sweetened with honey. On lazy weekends I have bacon and eggs as well.I cannot get going without my breakfast. Nothing beats beans on toast! Porridge and berries but as the occasional treat I would have pancakes! I love bacon and eggs. I have fresh fruit everyday, which I really love. However, as a special treat I will have Greek yogurt with honey. My favourite breakfast is crumpets covered in lemon curd. Porridge with frozen berries! Yum! Wholemeal toast with a little marmalade sets me up well for the day everytime. I love overnight oats .. porridge oats, mixed berries and fat-free natural yogurt. Nice and simple but filling enough to last until lunch! At the moment it's porridge with stevia and cream. Low carb. I enjoy a good quality croissant dripping with butter, a glass of freshly squeezed orange juice and a nice strong cappuccino. A huge croissant with raspberry jam! Porridge plain and simple jumbo oats, and simmer for 5 mins. No sugar, sometimes a few sultanas. I love it especially in winter. My favorite breakfast would be sliced avocado, a piece of toast and a poached egg white. A bowl of Frosties followed by a banana smoothie! I love poached egg on toast with smoked salmon. Porridge made with water, with a little honey, every day without fail ! Not very good for me but I don't eat it often - pancakes, bacon and real maple syrup.